Who’s a good sunspot! Aw, who’s a good little sunspot? You are! Yes, you are! You both are! 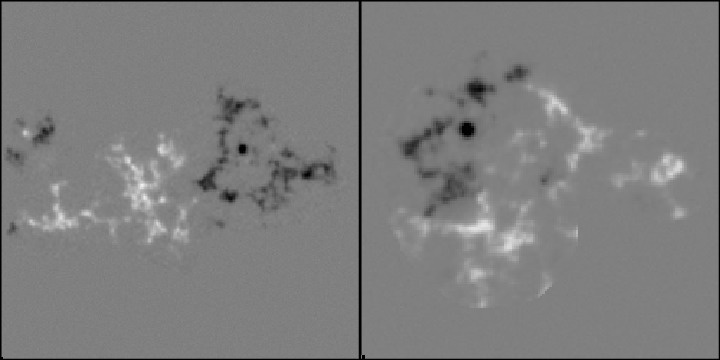 Over at Sunspotter, the project that these images come from, we compare image of sunspots to see which is the more complex. Which sun-dog looks more complex to you? Join us at the Sunspotter project to look at more solar images! Previous Previous post: The Footprints of Moon Giants?